One of the more common types of injuries in a car accident is whiplash—when the neck is abruptly jerked backwards, forwards or sideways, leaving the muscles and tendons hyper-extended and strained. Claiming compensation for whiplash injuries often requires the help of an attorney experienced in personal-injury law. Whiplash injuries to the neck’s soft tissues sometimes don’t become obvious for a while, but whether your injury manifests immediately or takes weeks to crop up, it can eventually cause considerable suffering. 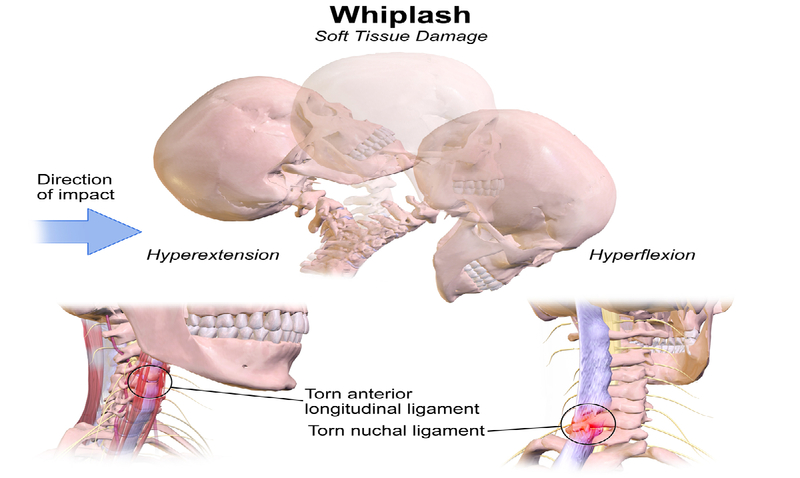 Whiplash symptoms include pain, decreased range of motion and headaches. These injuries can make it hard to drive and do other ordinary tasks and chores of life. Once the acute symptoms pass, it’s important to begin physical therapy for neck strengthening and stretching exercises and a return to optimal health. Mild whiplash may heal on its own, according to WebMD. But if your case is more serious you you may need to continue doing exercises for the rest of your life to keep your neck strong and limber. These exercises also may help you avoid any subsequent whiplash injuries in the future. Don’t let an insurance company tell you your neck whiplash injury isn’t real. Sometimes insurance companies or defense attorneys deride whiplash claims as fake and balk at paying. Krasney Law firm in Los Angeles can help you get the compensation you need to cover your lost wages and medical bills, which can be substantial in whiplash, and for pain and suffering. If you were injured in an automobile accident because of someone else’s negligence, please contact us. If you’ve been in accident and feel even the slightest pain in your neck (or elsewhere on your body), seek immediate medical attention. Whiplash can take several days to develop into a serious problem, according to WebMD. Don’t talk to anyone about the accident or your physical condition at the scene except emergency workers such as police and paramedics. Also, let your insurance company know about your injury immediately. Have your doctor give your neck a thorough exam, including X-rays, CT scans and the full range of tests to determine if the problem is whiplash. These tests may be used later in court to verify your claim if you find it necessary to sue the party responsible for the accident. A physician’s diagnosis and documentation of a whiplash injury are essential to proving your case. Your own word or the word of some other layman will not suffice to prove you had a serious injury that deserves compensation. If a doctor does diagnose you with whiplash, start the claim process quickly. Inform the other driver’s insurance company in writing about your injury and that you intend to file a claim. The sooner you get the process going, the sooner you may be able to collect on your claim for medical bills. During your treatment, document expenses for treatment and rehabilitation, including mileage, medical bills, prescriptions, co-pays and lost wages. Insurance adjusters will demand proof for any expense claims you make, and they may act more quickly if you voluntarily provide them with the documentation they need to process your claim. 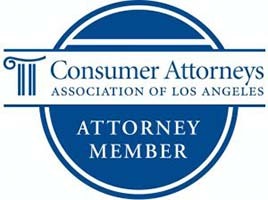 It has been estimated that about 25 percent of drivers in California don’t carry auto insurance. If you’re involved in an accident with an uninsured driver, sometimes the only recourse you have to obtaining compensation is through a lawsuit. And even your own insurance company. One thing all California drivers should keep in mind is that if they don’t have uninsured motorist coverage, they cannot sue for more than monetary recovery damages. In other words, you can recover only what you spend on medical bills, and not for pain and suffering, emotional trauma or future damages. 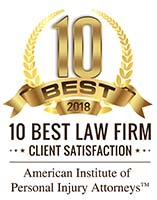 Krasney Law in firm attorneys in Los Angeles are experts in personal injury and auto accident law and can help you deal with insurance companies so you get the maximum compensation in your settlement. Or we can help you file a lawsuit or other legal action if the insurance company is treating you unfairly or trying to under-pay your claim. Contact your Los Angeles auto-accident attorneys at Krasney Law, (909) 380-7200. We will charge you nothing for an initial consultation, and we may arrange payment on a contingency basis. That is, we don’t get paid unless you accept a settlement or we go to trial.